When it comes to poker Daniel Negreanu or “Kid Poker” is the leader. Daniel has immense passion about the game and knows how to deal with it in a great way. He has the ability to read his opponents. The Canadian player was born in Toronto in 1974 and started playing poker games in his early 20s. He is one of the best poker players in the world and has won many World Series of poker (WSOP) gold bracelets, WPT titles and other prestigious poker tournaments. Kid Poker has some very good characteristics in him. He is a light-hearted and a very friendly person as well. Negreanu decided to play professional poker games when he was 21 years of age and till today he has won more than $31,496,018 amount of cash playing variously. The moment his parents knew that he can do well in future, they encouraged him to chase his dreams. 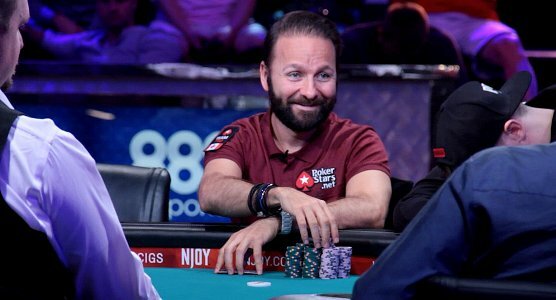 Negreanu has already won 6 gold bracelets playing at different World Series of poker events. The first WSOP Event won by him was $2,000 Pot-Limit Hold’em in 1998 and since then he is doing well at the table. Out of 9 final table participation in world poker tour Daniel has won 2 of them. The first one was in the year 2004 at Borgata Poker Open $10,000 No Limit Hold’em, where he cracked the field size and took home a massive $1.1 Million and another title was Five-Diamond WPT Classic $15,000 Championship, to which he made a whooping cash of $1, 7 Million. Daniel has made millions of dollars ($1,705,492) playing at European Poker tour. In June 2011, Negreanu collected $1 Million of cash prize playing at EPT Hosted Caribbean Adventure $100,000 Super High Roller Event. Some other EPT events to which Daniel participated and won over one Million Euros were $100,000 Super High Roller in 2012 and €98,500 8 Max Super High Roller Reload.